AP/Marcio Jose SanchezApple VP Kevin Lynch. He’s the guy in charge of the Apple Watch’s software. Apple gave us a peek at the Apple Watch during that splashy event back in September, but much about what the device will actually be able to do remains a mystery. 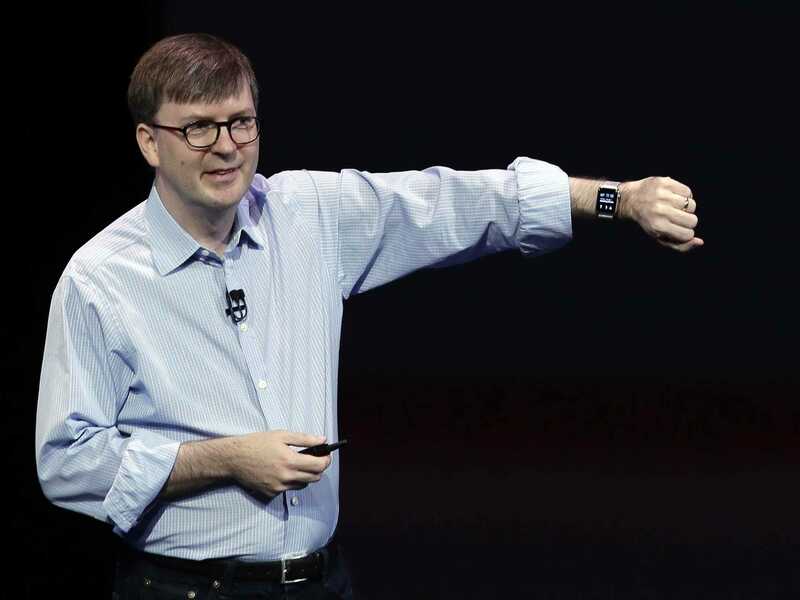 To be clear, the Apple Watch isn’t finished yet. It won’t go on sale until early 2015, and everything we’ve seen so far is just a small taste of all of its features. But this week, Apple gave us a bit more. 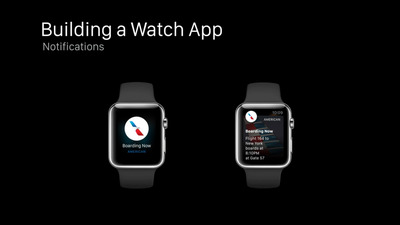 It released WatchKit, a set of software tools developers can use to bring their iPhone apps to the Apple Watch. Things are pretty limited so far. 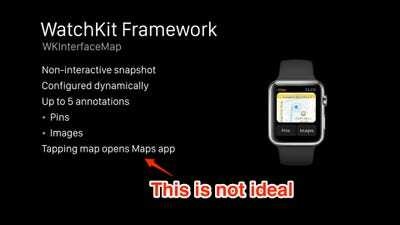 Apps aren’t “native” to the Apple Watch. That means the apps are actually stored on your iPhone, which beams bite-sized nuggets of information to the watch’s screen over Bluetooth. Apple will allow developers to make native apps next year, but the first crop of apps for the Apple Watch will have relatively limited functionality. Native apps have a lot of potential, though. Imagine a Spotify app that will let you leave your phone at home and listen to music at the gym using a Bluetooth headphones, for example. The display on the far left is the home screen that shows you us to select the app you want to launch. That’s pretty standard. Things get interesting in the middle image. That’s what Apple calls a “Glance,” or a way to get a quick snippet of information from one of your apps. You access Glances by swiping up from the bottom of the screen. Then you swipe left and right to view Glances from the apps stored on your phone. You can imagine this being used for pretty basic stuff like weather, news, Twitter trends, sports scores, and so on. It’s also very similar to the “cards” system Google uses in its Android Wear operating system for smartwatches. The far right display shows what incoming notifications look like on your watch. By default, app notifications will push directly to the Apple Watch without the developer having to change anything. For example, let’s say Facebook does nothing to get its app ready for the Apple Watch. If someone comments on one of your posts, the same notification like “Steve Kovach commented on your photo” that normally appears on your phone will appear on your watch too. 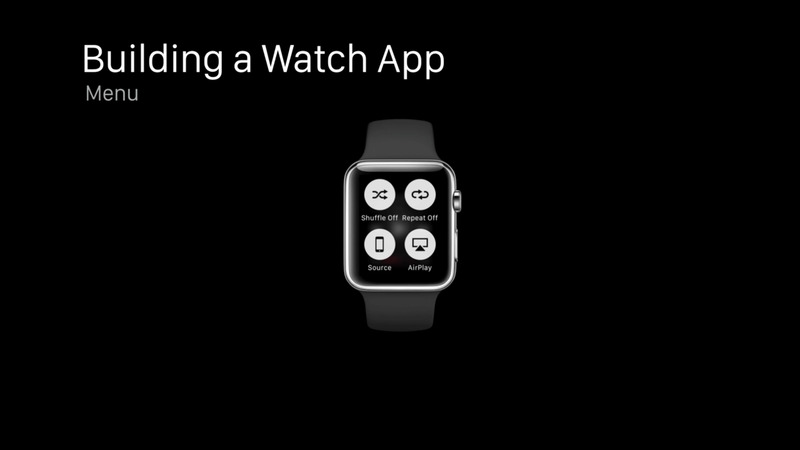 But developers can take notifications further by including actionable notifications on the watch. Facebook could make it so you can reply to a comment on your photo by talking into your watch, for example. The image above hints at how that will work with text messages too. A Short Look happens when you first get a notification from an app. In this example, the American Airlines app is letting the user know his flight is boarding. If he keeps the watch lifted, the notification will change to display more information like the flight number, boarding time, and gate. That’s called a Long Look. But there’s a downside to the Apple Watch being so dependent on the iPhone. It simply can’t perform some tasks without prompting you to look at your phone. For example, Apple says the Maps app won’t let you pan and zoom like you can on the iPhone. Instead, tapping the map on your will launch the full Apple Maps app on your phone. That will probably be annoying for some people. Samsung’s smartwatches often force you to use some apps on your phone to get the full experience, which is a frustrating. 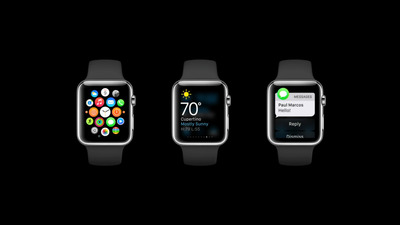 It seems like Apple has barely scratched the surface for what the Apple Watch will be able to do. CEO Tim Cook hinted as much when he first showed off the device. 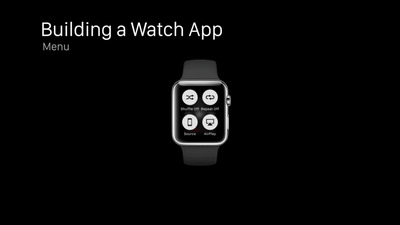 And things will get even better for users once developers are able to make native apps for the Apple Watch and come up with creative ways to make use of the smaller screen. Apple will probably have to hold another big press event to go over in detail everything the Apple Watch will be able to do.